Youth are the leading voice in a call to save our planet. 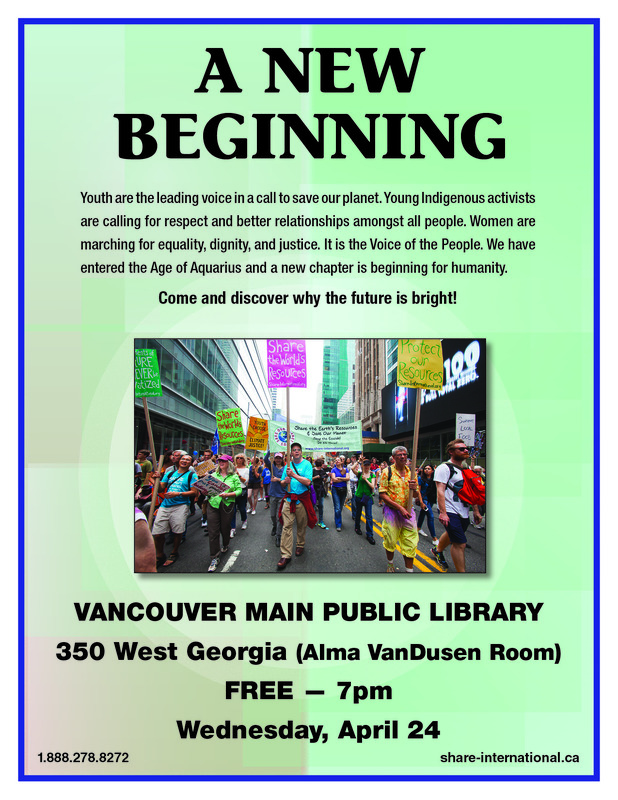 Young Indigenous activists are calling for respect and better relationships amongst all people. Women are marching for equality, dignity, and justice. It is the Voice of the People. 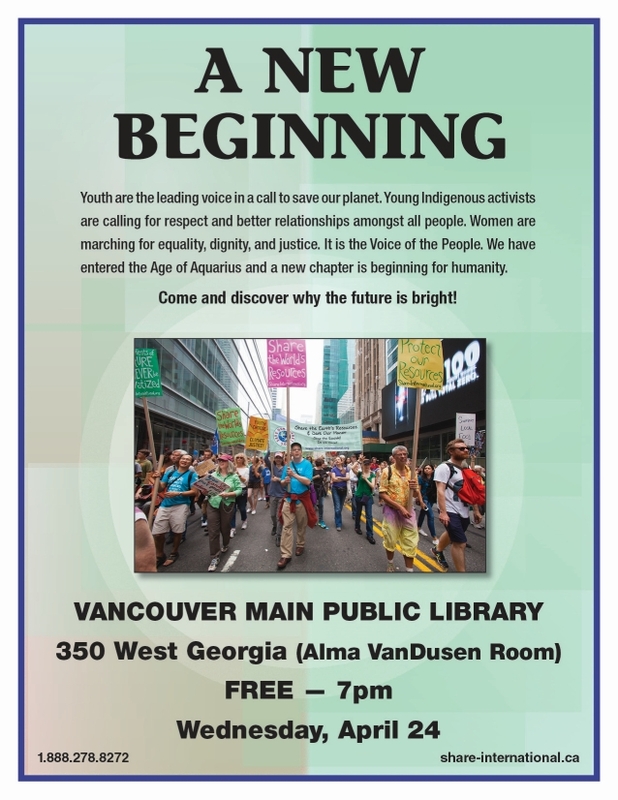 We have entered the Age of Aquarius and a new chapter is beginning for humanity. Come and discover why the future is bright! 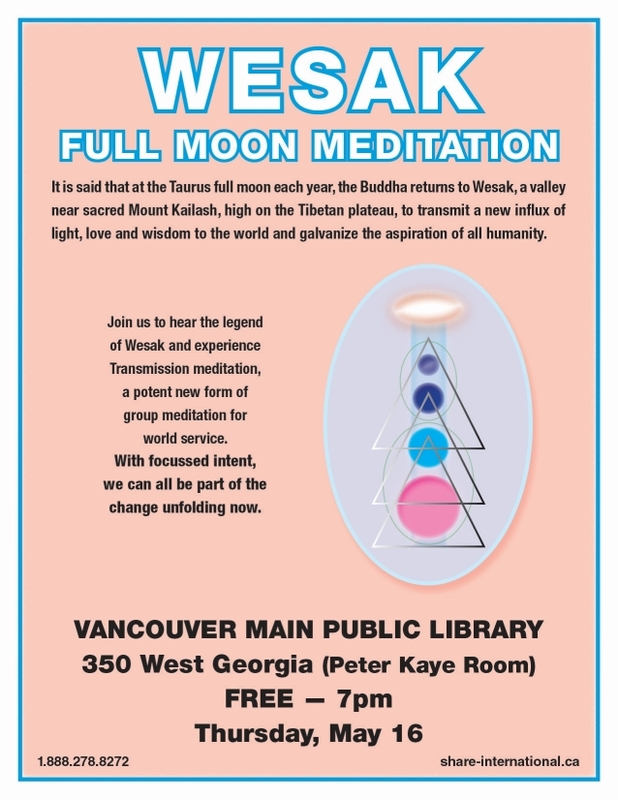 It is said that at the Taurus full moon each year, the Buddha returns to Wesak, a valley near sacred Mount Kailash, high on the Tibetan plateau, to transmit a new influx of light, love and wisdom to the world and galvanize the aspiration of all humanity. 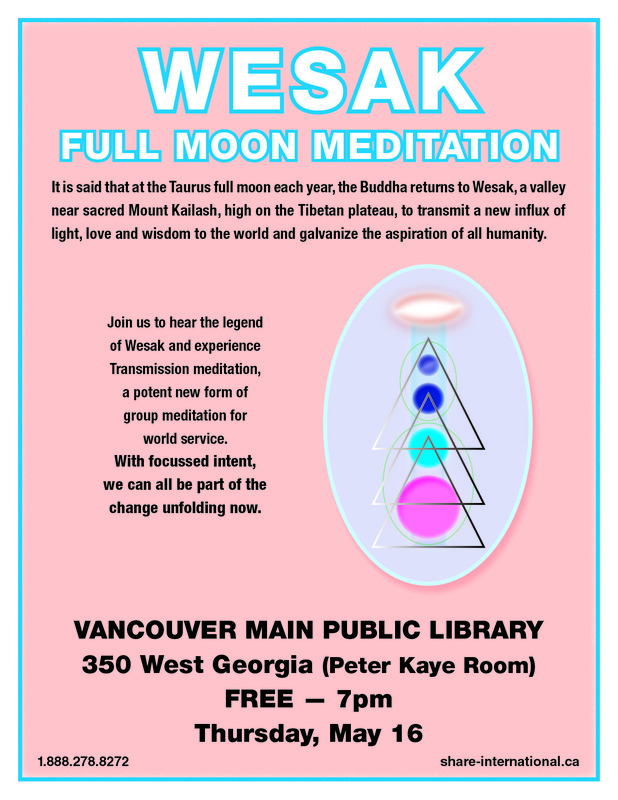 Join us to hear the legend of Wesak and experience Transmission meditation, a potent new form of group meditation for world service. With focussed intent, we can all be part of the change unfolding now. 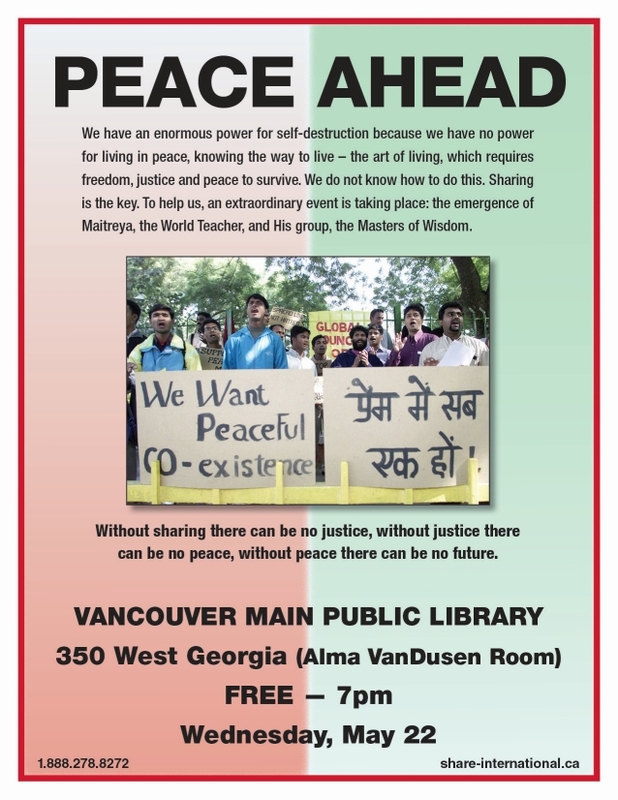 We have an enormous power for self-destruction because we have no power for living in peace, knowing the way to live – the art of living, which requires freedom, justice and peace to survive. We do not know how to do this. Sharing is the key. 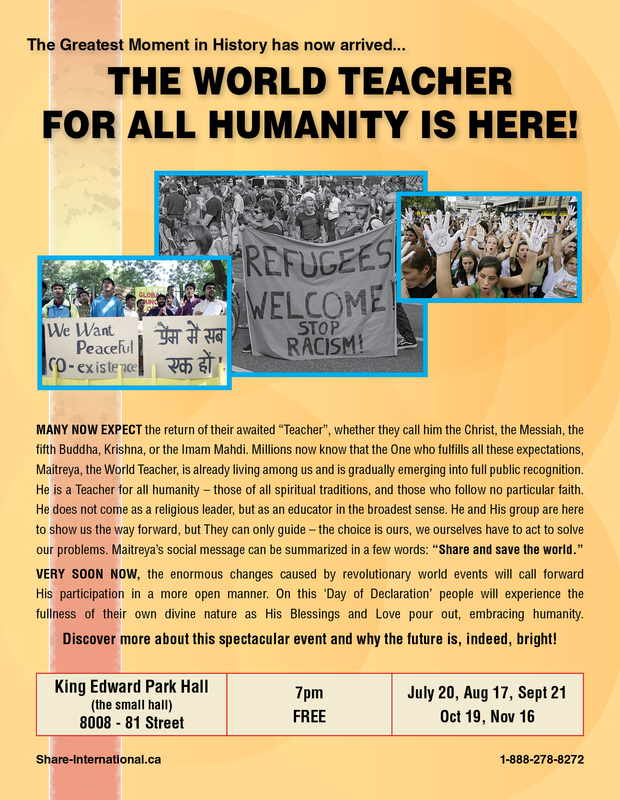 To help us, an extraordinary event is taking place: the emergence of Maitreya, the World Teacher, and His group, the Masters of Wisdom. 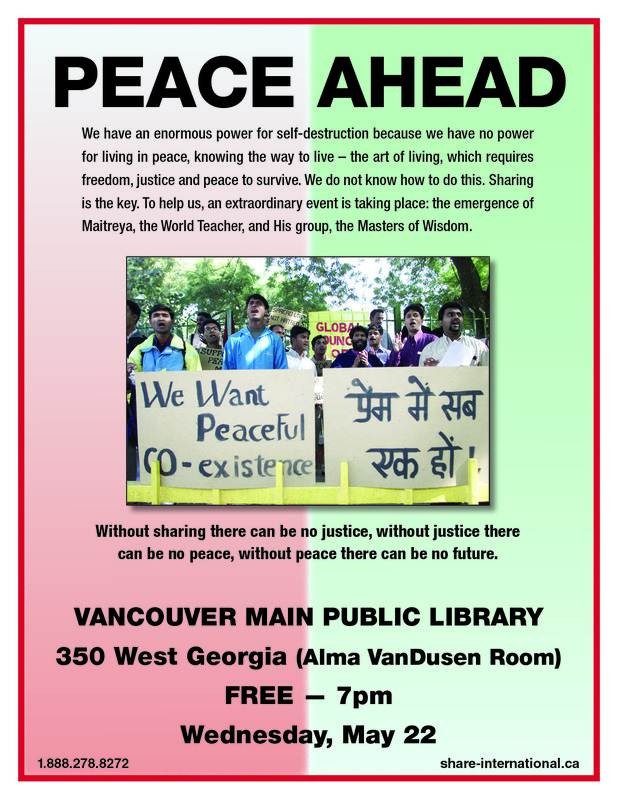 Without sharing there can be no justice, without justice there can be no peace, without peace there can be no future. 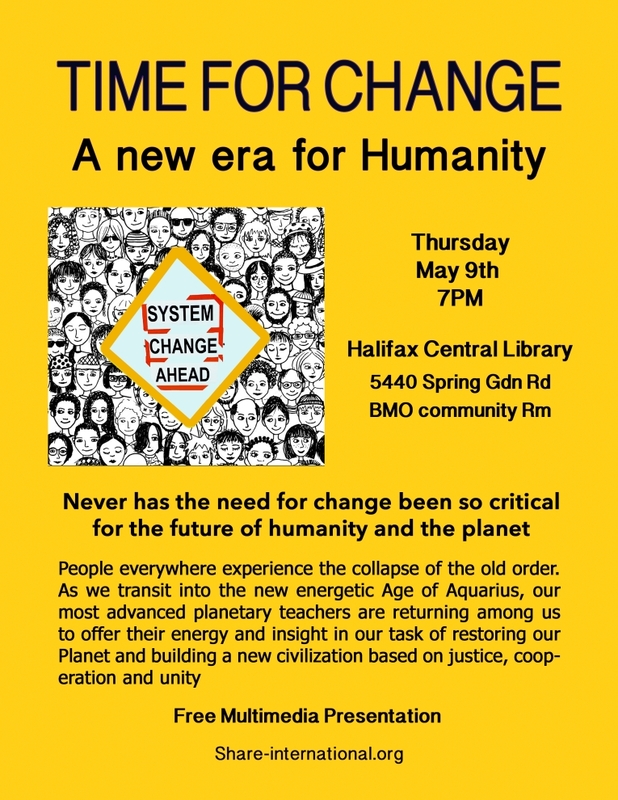 Can one person truly help a world in transition? More than you think! Transmission Meditation provides a unique opportunity to work directly with the Masters of Wisdom in stepping down and distributing the new Aquarian energies during this period of global transformation. 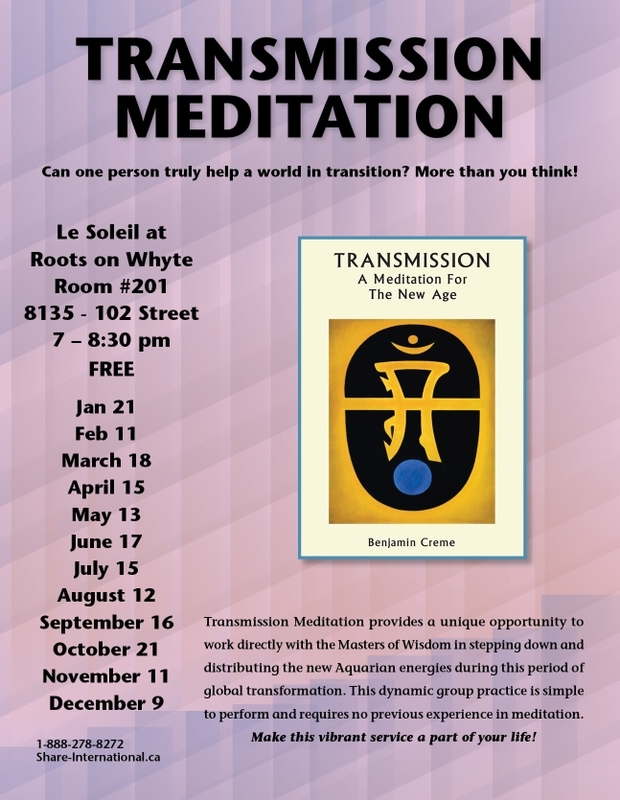 This dynamic group practice is simple to perform and requires no previous experience in meditation. Make this vibrant service a part of your life! 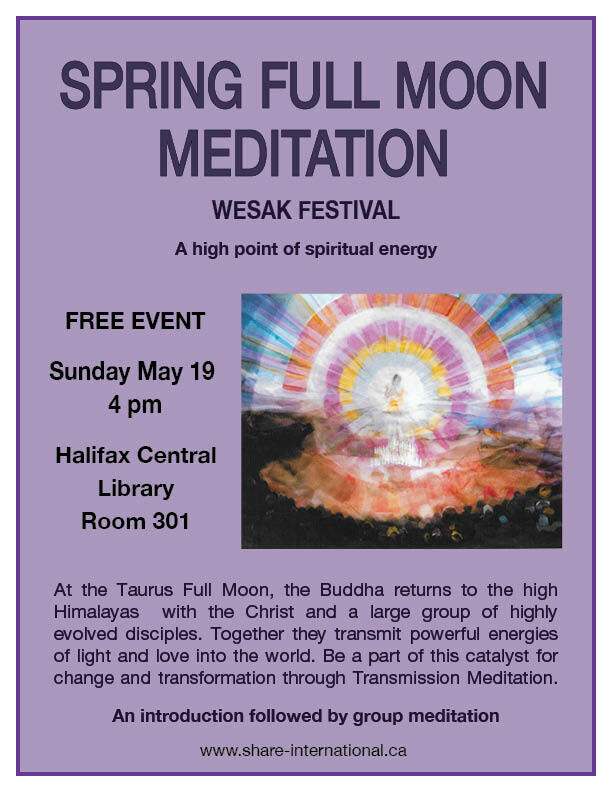 The three spring full moon festivals — Easter, Wesak, and the Festival of Humanity — present spiritual high points of the year and an opportunity for transformaiton and renewal. During this time, a pathway of light is opened between humanity and the spiritual forces watching over its destiny. 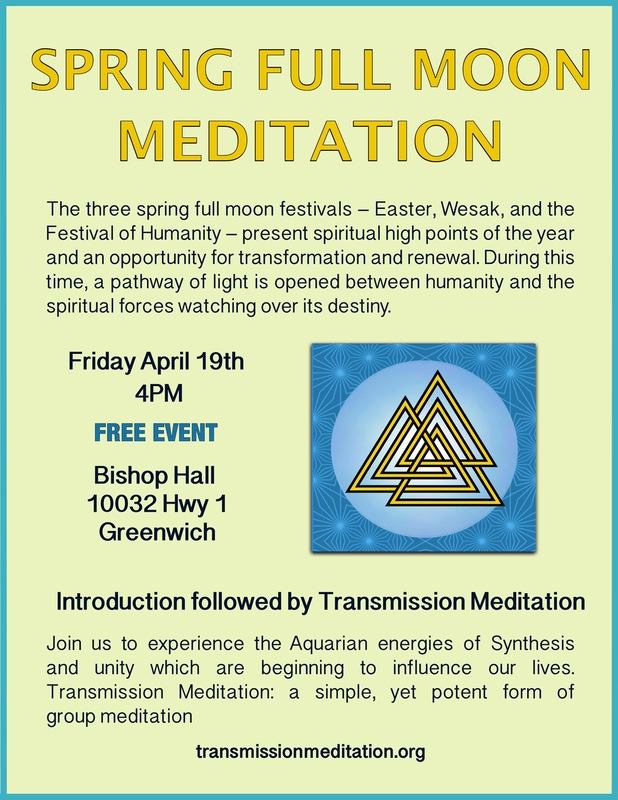 Join us to experience the Aquarian energies of Synthesis and unity which are beginning to influence our lives. People everywhere experience the collapse of the old order. At the Taurus Full Moon, the Buddha returns to the high Himalayas with the Christ and a large group of highly evolved disciples. Together they transmit powerful energies of light and love into the world. 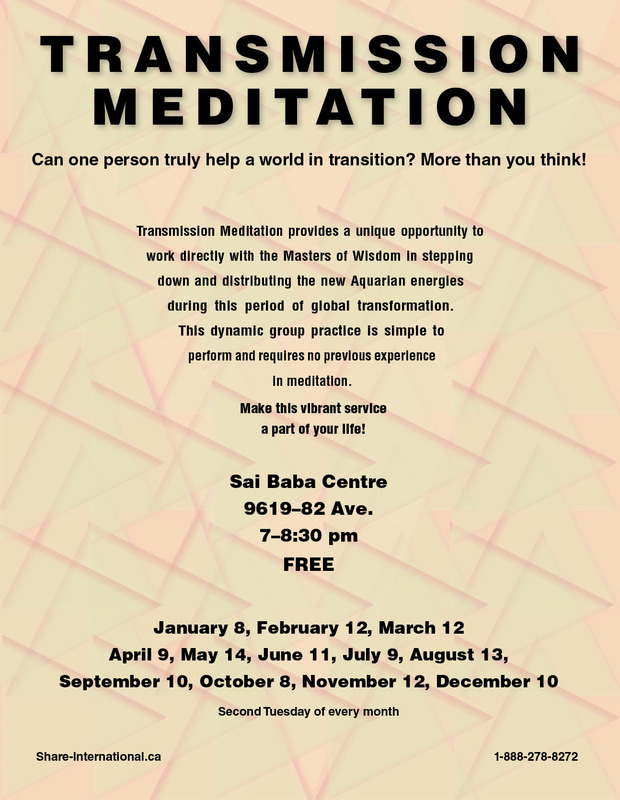 Be a part of this catalyst for change and transformation through Transmission Meditation.